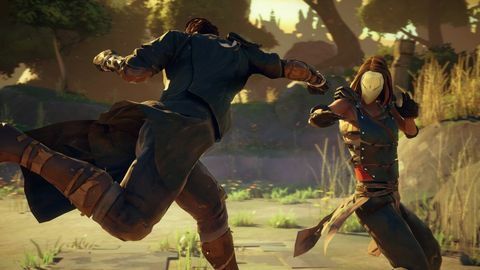 Matt comes away impressed by Absolver, a thoughtful melee title from former Ubisoft employees at Sloclap. Every E3, a smaller game, I’ve barely heard of stands out to such an extent that it immediately finds a place high on my list of most anticipated titles for that year or the next. 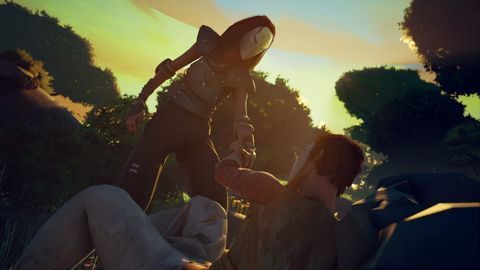 This E3, that game was Absolver, an indie take on martial arts combat that’s being published by Devolver Digital. A third-person melee fighting game with RPG elements, Absolver is a quiet but action-packed title that features a truly unique mechanic: you can learn new moves by fighting someone who uses them. Combat begins simply, with just two buttons used to attack, but its depth is quickly apparent. There are four stances, and numerous attacks and moves within each, as well as dodges, feints to throw enemies off-guard, parries, and blocks. Defense works much in the same way as it does in Ubisoft's extremely loud melee brawler For Honor: attacks come from the left, right, or above, and it's up to you to time them to gain an advantage. As in that game, scrapping is simple but tough to master, flows well, and is a hell of a lot of fun. Also like that game, taking on more than a couple of opponents at once will give you serious problems. As new moves are learned, they are added to your Combat Deck – cards that can be ordered any way you like to represent the combos you know. This means that although two players may know the same basic moves, the combos they have "loaded" at any one time can be quite distinct. (These cards can be rearranged at any time to adapt your fighting style.) On top of that, some moves allow you to shift stances, so you can begin a combo in one stance and end up in another, opening up further attacking possibilities. Other moves allow you to break an opponent's guard, or inflict some other status effect on them. Those familiar with Dontnod’s Remember Me will have encountered a similar combo building system there, albeit a less detailed and elegant one. More cards are added to your Deck as you level up, bringing things like spinning high kicks, knife hand strikes, back fists, and hammer kicks into the fray. However, if your character sees a move a certain number of times, he or she learns it, and it is then available for use in your Deck. It's such a cool idea, and is one that will probably have me circling around high level mobs just long enough to absorb the knowledge needed for a Hulk smash, or whatever. Developer Sloclap says it is aiming for combat that resembles dance, and Absolver’s battles are certainly fluid. They are also enjoyably tense, prioritising stamina management, aggression, and keen observation of your enemy above all else. There are weapons available, but each comes with benefits and drawbacks, and weapons are slower than bare-handed attacks from skilled fighters. Even so, should you see one you like, you can simply opt to disarm its bearer, then turn it against them should they protest. Absolver is of the online shared world variety, so other players phase in and out as you move around. You can choose to spar and thus teach each other moves, to properly fight, or to co-op your way around the game’s PvE areas and dungeons. There is no voice chat – instead, a gesture system is in development to keep communication simple (or perhaps purposefully unclear? ), and there's no doubt each of these encounters will be a fraught experience. There will be rewards for both helping or fighting other players, with Sloclap not casting any judgment either way (or so it says). 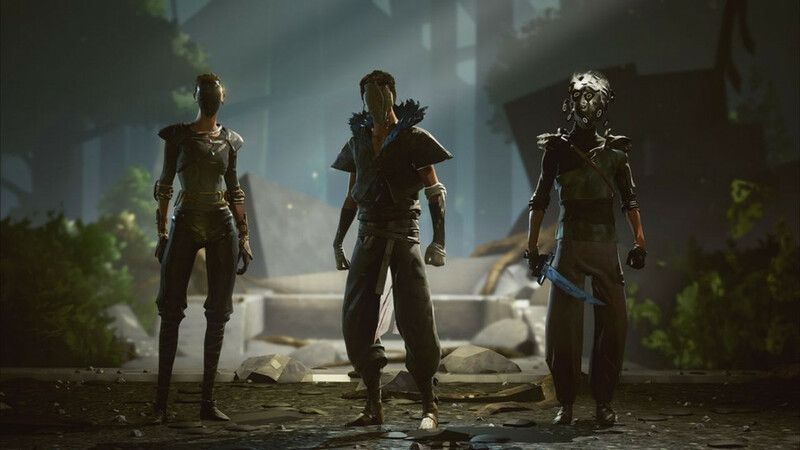 The aim of the game is to travel as a prospect through the fictional land of Adal to prove you have what it takes to become an Absolver, one of an elite group who fight to maintain stability in the world. 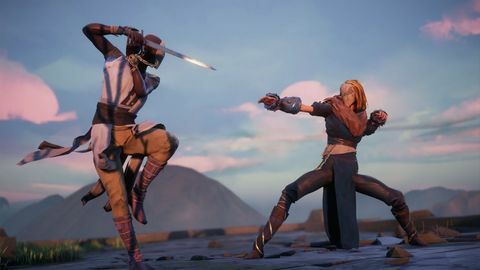 Sloclap is promising exploration, tense combat, progression, and seamless multiplayer, and that makes it hard not to compare Absolver with the Souls series. However, the Unreal Engine 4-powered game has a much brighter and more abstract art style, deeper combat, and contains many more tornado kicks at the very least. I only played Absolver for 20 minutes, but I’m already sold. With its carefully crafted systems, taut combat, and beautiful visuals, this one from former Watch Dogs and Ghost Recon programmers is worth keeping an eye on. It's smooth, mysterious, and absorbing, and I can't wait to hand out some naps (and no doubt take more than a few myself) when it hits PC and consoles next year.